Hugh Farmer with thanks to Carles Brasó for the images of YC Chen and the drawing of the mill. The SCMP, 19th Apr 2014, published an article ” End of an Era as Cotton Mill Closes”. 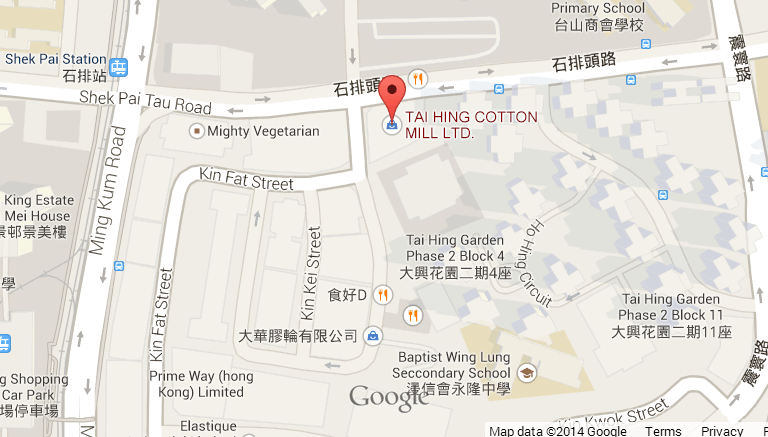 The Tai Hing Cotton Mill, the last of its kind here was located in Tuen Mun. Carles has added the following: According to the Hong Kong Cotton Spinners Association, Tai Hing was founded in September 1957 by Y. C. Chen (Chen Yuanchu). The mill was built in Castle Peak, New Territories with dormitories and dining halls. In the mid 1970s the company expanded vertically with new divisions of dyeing & finishing, texturizing, knitting and garments. 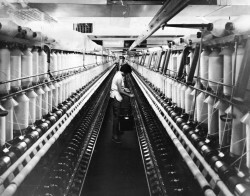 Annual production in 1975 amounted to 16 million lbs of cotton yarn, 4 million 1bs of other yarns, and over 17 million sq. yds. of cotton cloth. The main brands were Yarn & Cloth, Maple, Twin Beauty and Star Fish. 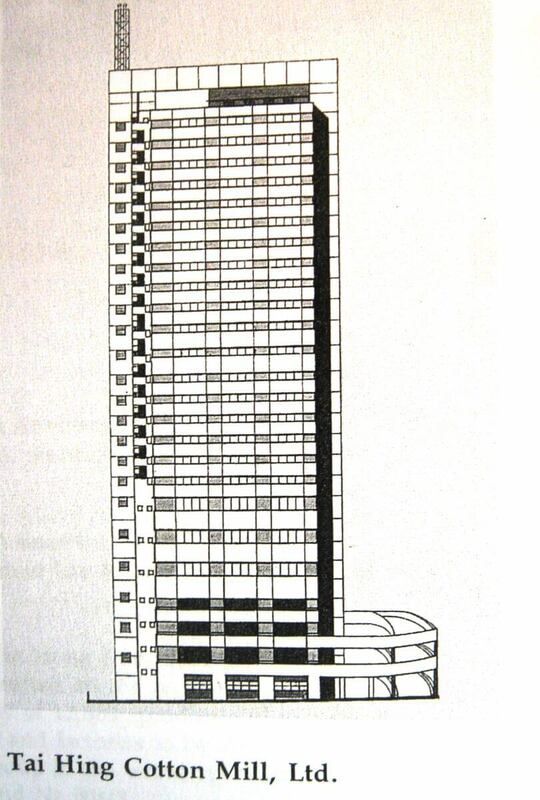 In 1988, Tai Hing had 22,400 normal spindles, 8,008 open-end spindles and 384 doubling spindles. It produced annually 57 million 1bs of yarn, 10.6 million of dyed yarns and 5.4 million of worsted yarns. The company was planning to build a new factory building. It seems that the company had sold or outsourced the looms it had in the 1970s as they are not registered in the 1988 report. Yarn brands were Maple, Twin Beauty and Star Fish. Indeed the closing of Tai Hing puts an end to an era of 67 years of cotton spinning industry in Hong Kong, since the first spinning mill was built in 1947. Sadly 300 workers at the Mill are unlikely to find work because “many were old and their skills were not needed in modern Hong Kong.” The company plans to move its production line to somewhere in South East Asia but will retain an office in Hong Kong. 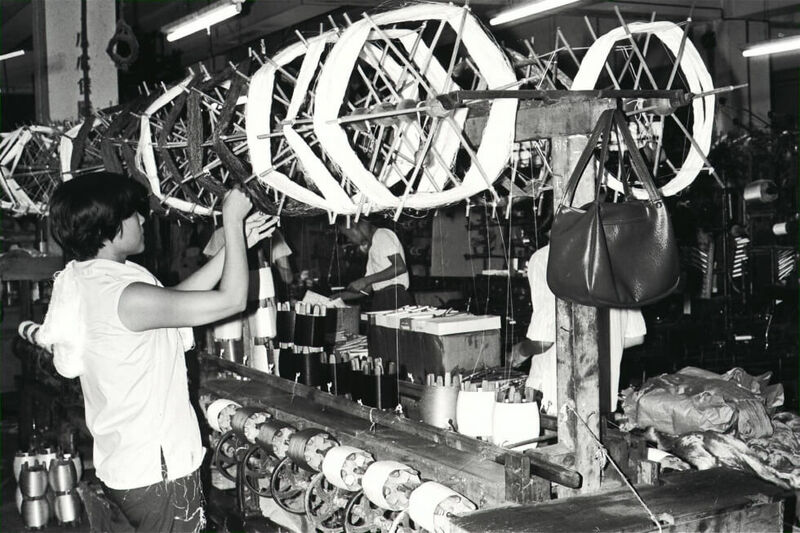 The two largest industries in Hong Kong during the 1970s and 1980s were textiles and clothing manufacturing. In 1979 this sector employed more than 378,000 people, 18% of the total working population. Truly the closure of Tai Hing is the end of an era in Hong Kong’s industrial history. 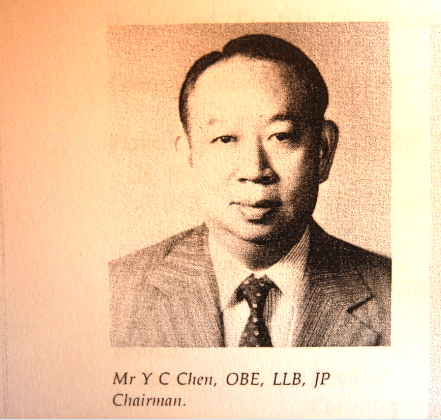 According to the Hong Kong Cotton Spinners Association, Tai Hing was founded in September 1957 by Y. C. Chen (Chen Yuanchu). The mill was built in Castle Peak, New Territories with dormitories and dining halls. In the mid 1970s the company expanded vertically with new divisions of dyeing & finishing, texturizing, knitting and garments. 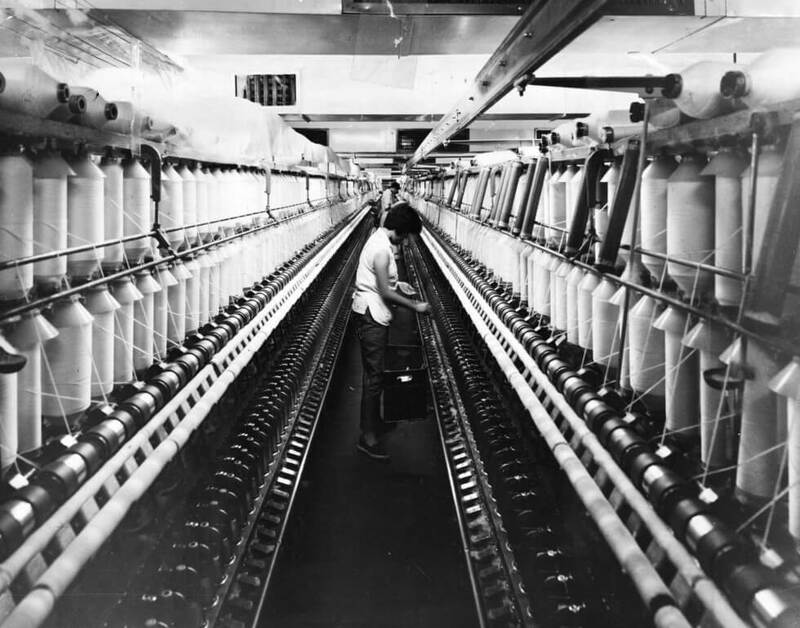 Annual production in 1975 amounted to 16 million lbs of cotton yarn, 4 million 1bs of other yarns, and over 17 million sq. yds. of cotton cloth. The main brands were Yarn & Cloth, Maple, Twin Beauty and Star Fish. Indeed the closing of Tai Hing marks an end to an era of 67 years of cotton spinning industry in Hong Kong, since the first spinning mill was built in 1947.